The Hon. 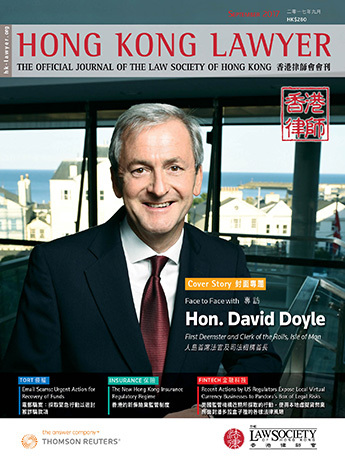 David Doyle, First Deemster and Clerk of the Rolls of the Isle of Man (the Chief Justice of the island’s High Court of Justice), who spent his formative years in Hong Kong, reflects on his career in law and the utility of continued exchanges between the Isle of Man and Hong Kong. In 1965, together with his parents and three elder sisters, the Hon. David Doyle, First Deemster and Clerk of the Rolls of the Isle of Man, moved to Hong Kong. His parents were from the Isle of Man, a little island of some 572 square kilometers in the middle of the Irish Sea. In the 1960s, the Isle of Man’s economy was struggling. With few jobs available, many Manx people left the Island to build their careers abroad. The Deemster spoke fondly of his childhood in Hong Kong. He lived on Old Peak Road and recalls passing many a day at Big Wave Bay, swimming and attempting to surf, eating ice creams, drinking 7UP® and Green Spot and trying to stay away from the sea urchins. He remembers boat trips around the islands, walking his dog around Tai Tam reservoir, the Dragon Boat races, Chinese New Year, days off from school during typhoons, having curfews during the riots and playing and watching lots of football. He even met the famous Brazilian footballer, Pelé, at the Hong Kong Hilton and got his autograph. He also remembers many exciting and safe landings at the old Kai Tak airport, in the early days on BOAC’s VC10s, with the approach past Lion Rock and seeing people in their flats brushing their teeth. He was also able to go up around Hong Kong air space in a small aircraft, which encouraged him to take flying lessons in his 20s. “Hong Kong is special to me and I frequently feel a strong pull to come back. Although my home is in the Isle of Man, I still feel that a part of me belongs in Hong Kong,” he said. Since leaving in the 1980s, the Deemster has followed the developments in Hong Kong with great interest. When he was a practising Manx advocate (1984–2003), he had numerous clients in Hong Kong. As a Deemster, he has returned to Hong Kong on a number of occasions and at times, he has cited Hong Kong case law as persuasive precedent as a sitting Manx judge. The Deemster spoke to us remotely about his career in law and the benefit of the continued exchanges between the two island jurisdictions. “I’d like to say that such comments inspired me to become a lawyer and then a judge in the Isle of Man, but the truth is that they simply nurtured a seed that had already been planted in my mind a few years earlier by my father,” he said. I took most of that advice but rebelled against the last bit. I didn’t want to enter politics and I didn’t have the brains or numerical ability to be an accountant, so I chose to do a law degree,” he said. Deemster Doyle was called to the English Bar in 1982. Afterwards, he worked in the litigation department of Slaughter and May in London, and then, in 1984, returned to the Isle of Man to become a Manx advocate, as he had always intended. Subsequently, he became a partner at Dickinson, Cruickshank & Co. and later was appointed head of the firm’s Commercial Department. In September 2002, he was appointed part-time Deputy High Bailiff (similar functions to an English District Judge) and Coroner of Inquests. He remained with Dickinson, Cruickshank & Co. (now known as Appleby) until March 2003 when he retired from private practice to take up the position, following an open competition, of Second Deemster. In December 2010, Deemster Doyle was appointed by Her Majesty Queen Elizabeth II as the First Deemster and Clerk of the Rolls, again by open competition. In January 2015, he was appointed a part-time Judge of Appeal of the Courts of Appeal of Jersey and Guernsey by Her Majesty the Queen. “I thoroughly enjoyed my time in private practice and I miss the comradery and relative freedom, and I suspect that my family misses the long summer holidays! But life on the judicial bench, although somewhat lonely and isolated on occasions, has provided me with a great sense of personal satisfaction. I nearly always drive to work early in the morning looking forward to the challenges of the day ahead and I never drive home at night thinking ‘that was a dull day’. Judicial life is never boring. It is frequently packed with surprises, challenges and new legal issues to determine. It is sometimes stressful, and it is right to acknowledge that and to take steps to deal with it, but it is always worthwhile. I know I am extremely fortunate to love my life, my family, my work and the island I live on,” the Deemster said. 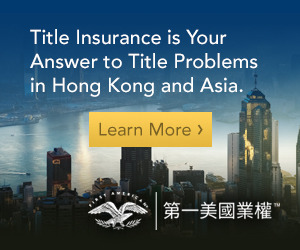 Hong Kong and the Isle of Man are both internally self-governing island communities which are heavily influenced by those close to them – in the Isle of Man’s case the United Kingdom and Ireland, and in Hong Kong’s case China, the Deemster explained. “Our constitutional structures are however a little different. The Isle of Man is in effect an internally self-governing dependency of the British Crown. We are not, and never have been, a part of the UK. We enjoy our internal independence. We are not a member of the European Union but, as we do a lot of trade within the British Isles and Europe, Brexit will inevitably have an impact on us and indeed the rest of the world, including Hong Kong. The British Crown retains responsibility for the Isle of Man’s defence and for ensuring the good government of the Island. We have our own Parliament (Tynwald which is the oldest continuous parliament in the world dating back to 979 AD). We have our own legislature and our own executive government which respect the rule of law and the separation of powers. We have our own judiciary and we have our own laws. Our High Court judges are known as Deemsters. The first written reference to Deemsters can be traced back to the early 1400s but the office of Deemster is probably much older dating back to the Norse Kingdom and the origins of Tynwald in the 10th century,” he said. Continuing, he explained that there are very many similarities between Hong Kong and the Isle of Man, with the most important being a mutually strong work ethic and a desire to uphold the rule of law. However, in terms of population density and number of lawyers, the Deemster noted that Hong Kong far exceeds the Isle of Man. 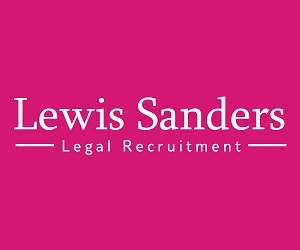 The population of the Isle of Man is around 85,000 and its fused legal profession comprises 240 practising advocates. He also noted that in special circumstances, English counsel can be temporarily licensed to deal with cases before the courts of the Isle of Man. 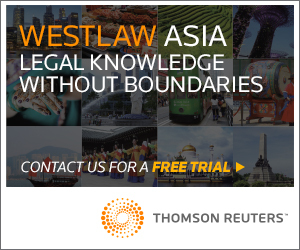 By contrast, Hong Kong has a lot more lawyers, with over 10,000 practising solicitors. 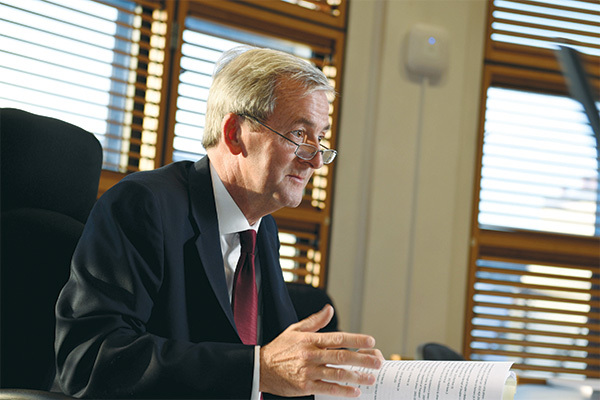 Both the Isle of Man and Hong Kong face similar challenges in many areas, Deemster Doyle explained, but for present purposes, he commented on just two: young people and the rule of law. “Hong Kong and the Isle of Man also face a challenge in ensuring that our communities are not complacent and that they appreciate the value of the rule of law to the fair and just existence and progression of a community. I do not speak of the value in solely economic terms. Yes, the rule of law is the vital backbone of economic growth but it is much, much more than that. It directly impacts on the quality of all our lives. It goes to the core of a fair and civilised existence. As the conversation switched to more general topics of importance, Deemster Doyle reflected on the utility of comparative law. He noted a lecture that he delivered at Harvard Law School in 2007, where he stressed the value of countries looking to developments in foreign jurisdictions to assist them in developing their own domestic law. However, he acknowledged that it is not always easy to stay on top of everything that is happening worldwide, which is why he finds judicial conferences so useful. “Firstly, all judges in common law jurisdictions deal with similar issues on a daily basis, and we have a lot to learn from each other. Secondly, it is important to raise the Island’s profile and enhance its reputation as a good place to do business and as a respecter of the rule of law. Thirdly, it recharges the judicial batteries and is, frankly and somewhat selfishly, a refreshing break away from the immediate and seemingly constant pressures of the day job. Fourthly, it helps in putting issues within their proper perspectives. Fifthly, in a job which is frequently lonely and isolated, there is comfort and support to be obtained in discussing issues with other judges from other jurisdictions. There is a lot of mutual respect between judges and we can all assist each other in being effective and energised judges,” he said. Deemster Doyle is also a firm believer in judges giving talks to others interested in the law and judges promoting and protecting the rule of law locally and internationally. In addition to hosting visits to the Isle of Man Courts of Justice, the Deemster also gives lectures to trainee advocates, as well as secondary students and others on the island. Additionally, he visits judges and others interested in the law in jurisdictions overseas, as well as hosting visits of foreign judges and others at the Isle of Man Courts of Justice. “I believe that meeting with other judges, travel and the international exchange of ideas are very important. Travel increases knowledge and understanding and is vital particularly for judges in compact island jurisdictions who might otherwise be confined to a local and sometimes somewhat insular court room. International connectivity is extremely useful for me because the vast majority of the cases I deal with at first instance and appellate level have an international element, and visiting judges in other jurisdictions is just part of building up better international understanding and judicial cooperation. The role of judges today must include interaction with other judges, lawyers and the public and stepping beyond their national boundaries to learn from, and collaborate with, the rest of the world,” he said. Judges decide the legal issues of the day in accordance with the law and the judicial oath. Judges must be impartial and independent and cases should be determined fairly and justly within a reasonable time. This involves active case management beginning as soon as the claim or application is filed with the court. Judges develop the common law, but any judicial development of the law must be in conformity with justice, common sense, the spirit of the law, principle and policy. It must also take into account the competing needs for certainty and flexibility and the avoidance of illegitimate legislating from the bench. Judges should develop the law in a way which is considered most appropriate for the needs, requirements and interests of their home country and the wider international community of which that home country is a part. Judges must embrace change and new technology. Judges may highlight the benefits of the judge’s home country. Judges give guidance on local law and procedural issues. Judges develop local jurisprudence in the best interests of their home country taking into account its responsible place within the world. Judges promote the rule of law both locally and internationally. Judges, where appropriate, refer to issues of policy relevant to the judge’s home country. Judges get involved in legal education and, where appropriate, law reform. Last, but not least, judges should be continually focused on the needs of all court users. These are standards to which he hopes all judges will aspire when administering justice in their respective jurisdictions.